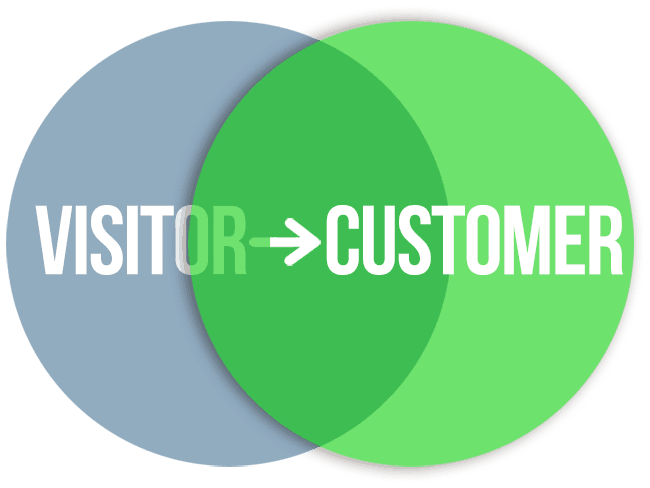 Often overlooked ways for you to turn more visitors into customers on your eCommerce site. ‘corePHP’ is always on the look-out for ways our clients can boost conversions on their eCommerce sites. We thought we’d share 26 of the most often overlooked, inexpensive, and easy to implement ideas, to help you generate more eCommerce conversions. Treat this like a checklist, every time you add a product to your inventory, and you’ll be on the right track to higher conversion rates. Do you have advice to share? Please feel free to comment, and add your advice to this compilation as well! 1. Put your best photo first. Don’t make your prospects search around for a photo that puts your product in context. Use the best one you’ve got, to show size, color, and context. Use alternate photos in a secondary role. 2. When in doubt, always display “free shipping.” Just because you may know shipping is free on certain products, don’t ever assume your site visitor does. Free shipping is a huge incentive to purchase, so always include this little nugget with your product, in every view. 3. Color code your CTA buttons. Remember, color can kill your conversion numbers in their tracks, so consider reviewing this handy color chart to better understand how to best use color in your call to action buttons (CTAs). A/B test your buttons to see what works best for your personas! 4. Display payment options on every page. Yup, this truly makes a big difference in your sales conversions, especially if your customers are first-time visitors, or reaching your site from out of country. 5. Display your stock status – always. Don’t make your customer go through any sales process, only to inform them “sorry, we’re out of stock” in a landing page, or worse yet, in an email after the order. After all, the goal is to get repeat customers, right? You won’t earn their business by making them do all that work, with no payoff. 6. Display “Add To Cart” buttons always. Once again, simple advice, but often overlooked! Give your customers a chance to buy, and they will do so. 7. Increase your font size. Not only is the average age of web buyers increasing, but they’re mobile, too. Boost your content up a few pixels (16 pixels or more), and A/B test this on your customer base. Ping us back here, to share your results! 8. Optimize your website speed. A recent study by Google found that conversion rates drastically plummet on sites that take over two seconds to load. Over two seconds will cost you 10% in conversions. Every second from then on will cost you another 10% in conversions. Optimize your site speed, reduce the footprint of your content, use a CDN, use the right hoster and maximize your potential! 9. Use unique content (not your wholesaler’s canned copy). If you’re using generic, provided content for your product descriptions, good luck getting noticed, and standing out from the rest. Content isn’t king for no reason; it’s what positions your products and your brand as unique. If you’re a decent copywriter, it’s time to tackle this, and boost your sales. 10. Get responsive, right now. Oh my gosh, if you haven’t yet converted your site into a fully responsive design, for Pete’s sake, now’s the time. If you’ve been looking for a reason to cost justify implementing a fully responsive design, look no further than the sales you’ve surely lost, waiting to go responsive. With nearly 50% of all B2B and B2C sales now taking place via mobile devices, you can’t afford to wait any longer. Have I beat that one to death yet? Good. Now go do this. 11. Don’t require registration to buy. The last time you bought movie tickets, did they force you to register? Did you try to avoid it? Yup, me too. Take that to heart when selling your own goods online, and nix the requirement of registering first. Make it an option, and watch your sales begin to grow. 12. Streamline your check-out process. This one’s straight out of the 1990s, folks, and it hasn’t changed. One page check-out is a must (luckily, paGO Commerce has it built-in). One click does the trick. You can plan on losing 25% or more for a two-stage process. 13. Make help easy to come by. Incorporate a helpdesk or chat support, right into your online store, to assist with the sale, even on low-involvement products. 14. Test your shopping experience out. It’s always a good idea to test out your eCommerce site’s shopping experience before pushing it live. Start with people you know, then push it to a few actual customers, to give your site a try. If you can be in the room LIVE with them, that’s even better, to track what they’re doing, see where their eyes go, and experience the frustration with them, first-hand. Every time you do this, you’ll catch something new to fix! 15. Unify your shopping experience. No matter where your customers interface with your buying experience, make sure the message and the branding is consistent. Not only is it common sense, to unify the processes, but it’s more comforting to your end user to know they’re dealing with the same seller, no matter whether they’re buying via mobile device, desktop, in-person, or via a kiosk. 16. Give video a try! Video is an excellent medium to communicate with your customers, and they eat it up. They don’t have to be uber professional either, just informative and helpful for the buying process to answer questions, and anticipate their needs. 17. Provide a phone number. Sounds silly to some of the young whippersnappers out there, but many people young and old prefer to have a phone number readily available if they have questions, or need prompting throughout the buying process. Don’t forget the phone! 18. Include “Trust” icons & signals. Building trust is critically important for first-time buyers, and loyal customers alike. Keep your design clean, but include trusted icons to build trust. 19. Add reviews. Legitimate reviews are a major factor in building trust and garnering new sales online. Take a look at how Amazon and others handle this, and incorporate reviews into your eCommerce site to help maximize conversion rates. 20. Dare to compare (your customers will anyways). Depending upon your business model, if you can, you should include price comparisons on your site. They’re going to compare pricing anyways, so you may as well do some of the grunt work for them! Once they leave your site, you have less than a ten percent chance of them coming back to complete the sale. 21. Urgency sells. Create a sense of urgency among your customer base with time limited deals, special promotions and other ways to convey to your prospect: “The train’s leaving soon, you better get on-board!” The take-away close works wonders at capturing the sale, before they wander off to another site. 23. Show shipping prices up front. Again, don’t force your customer to wait till the final check-out to learn what the cost is to ship your product. At minimum, include an estimated shipping price, so your customer has an idea of what it will cost to ship. Remember, the idea is to trim down the reasons why your would-be customer may abandon the cart. 24. Display best-sellers. Contrary to what some writers will tell you, most buyers are followers, not pioneers. They love to know what the best-selling products are, and they also like to know how many others have made the purchase decision before them. 25. Highlight your return policy. Sometimes, buyers instinctively react to what you’re not saying. So when your return policy is buried, don’t be surprised when your conversion rate isn’t up where you want it to be. Post your return policy in plain sight, and help build trust between you and your would-be customers. 26. Review order option before check-out. It’s a good practice to allow your customers one last chance to review their order before checking out. The key is to ensure they don’t have to take one more step in the click-path, in order to do so. Giving them a summary of the order, tax, shipping and any other charges will help ensure a higher conversion rate. Have you got some tried and true ways you can suggest, to help convert more eCommerce sales? Login and contribute to the conversation, here on the ‘corePHP’ News blog. This entry was posted in E-Commerce and tagged Conversion, ecommerce, tips on September 28, 2015 by John Coonen.